At Musicstyling we pride ourselves on building long-lasting, trusted partnerships with our clients. We immerse ourselves in your brand to develop unique creative concepts that evolve with you as your business grows. We research your clientele, your properties and your environment to gain an in-depth knowledge of your brand principles and the distinctive requirements for each and every location around the world. This detailed knowledge and insight helps us to create soundtracks that reflect the ambience of each unique brand and space, resulting in the perfect sound throughout all zones and properties at all times. The perfect audio solution for meeting rooms and conferencing suites. Motivate your meeting attendees with a uniquely tailored approach to music branding. Allow your guests to select a playlist that suits the mood of the meeting from a range of pre-set options carefully curated for your property and requirements. The right soundtrack can increase focus, elevate mood and enhance productivity - we can also create playlists for special requirements such as a break-out playlist for lunchtime to energise and revitalise attendees. 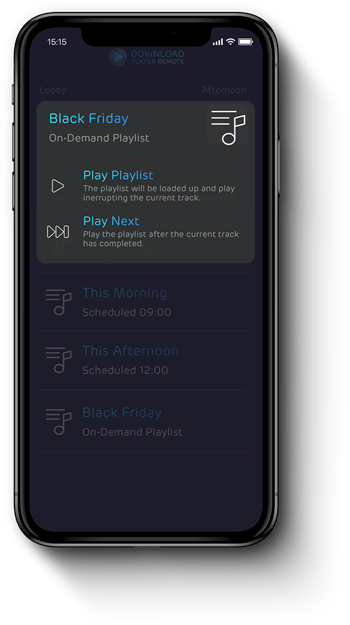 Allow your guests to interact with your branded music playlists and select music or videos to play in a particular area of your hotel - such as your bar, lobby or lounge - all from their own smart phone or tablet. Discover Music can enhance guest experience, promote your brand, increase dwell time and create engagement, all whilst ensuring that your music remains pre-approved and on-brand. The Dashboard is a secure website that provides you with complete visibility of the status of your music and digital signage players and allows you to control them remotely, wherever you are in the world. Whether you want to check if players are online, when there is new content available, what playlist or song is currently playing or even load a playlist - you have access to these and other additional features directly from the Dashboard. Enrich the levels of deep sensation for your guests during their spa experience with Immersive by Musicstyling. A complete sensual mind, body and soul experience that takes guests ‘inside’ the music, enveloping them entirely, creating a sensation of floating in a warm, tranquil sea of sound. Connect to all of your players from your smart phone or tablet to monitor the tracks playing or remotely control your music. 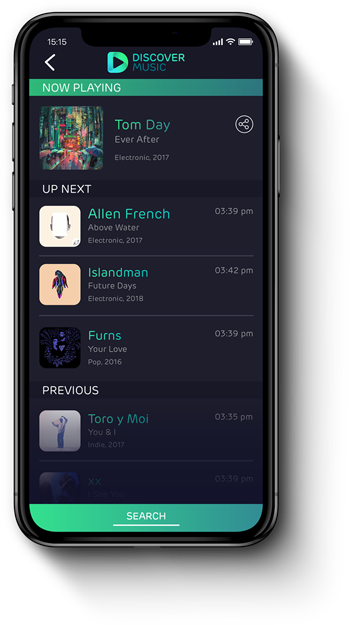 Load playlists, skip tracks or adjust the volume - you can control all music areas in your venue from a personal device wherever you are within your property. Get you brand messages seen as well as heard with our on-screen digital signage solutions. Whether you require pure signage, or prefer to mix it with other media, such as music, promotional or branded videos, web content or dynamic menu and pricing boards, we can help to ensure your property looks as good as it sounds. The power behind the delivery of our service is the state-of-the-art player software - the Download Player - and the supporting IT network infrastructure that get's everything delivered to you perfectly on time, packed with features and sounding great; no matter where you are in the world. Find out how our player can become the interactive centerpiece of your guests entertainment and your venue's centralised music and media hub. At Musicstyling we pride ourselves not only in the work we do and the way we bring spaces to life, but more so in the 5-Star level of service that we offer our customers. You expect a 5-star service from us and we do to!